Earlier this month, The Aspen Times’ annual Best of Aspen issue hit newsstands, revealing the top three winners for “Best Dispensary” according to our loyal readers. The Green Joint, which only officially opened for business in September, took top honors followed by Silverpeak and Best Day Ever in second and third place, respectively. In a small ski town with seven dispensaries in its downtown core alone, each has something of value to offer — from stocking exclusive brands to granting locals’ discounts to presenting loyalty programs — all in competition for resident and tourist dollars alike. 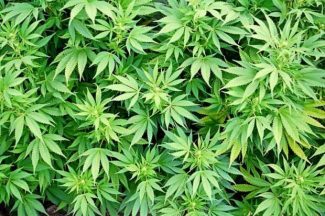 While Snowmass continues to cry Reefer Madness, recently extending its moratorium on marijuana retailers for a third time until April 30, 2019, Aspen is notorious for having one of the highest pot-shop densities of any city in the country. Note: Dispensaries are listed in alphabetical order, not ranked; All offseason deals are subject to change. About: Independently owned by longtime local Michael Gurtman, this second-floor compact cannabis gallery not only offers organically grown, potent flower, but also showcases a highly curated selection of limited-edition glass art accessories from Yunk, John Williams, Snic, Matt Robinson and more. They also stock hard-to-find Lebanese and Moroccan hash from The Greenery Hash Factory, handcrafted in Durango carrying on true Middle Eastern tradition. 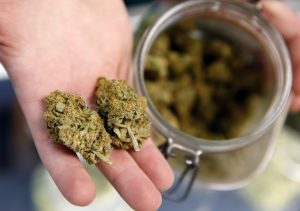 Loyalty program: 1 point for every dollar spent; 100 points earns $5 in store credit Hours: 10 a.m. to 9 p.m.
About: Denver-based dispensary chain Euflora opened their sixth Colorado location in what was formerly known as Stash. Fresh off of a complete interior redesign, multiple stations with iPads enable its knowledgeable staff to further educate customers on the rotating menu of greenhouse-grown strains. Euflora’s sister brand District Edibles retail for $16 for 10 pieces (in nine fruity flavors), which stakes claim as the lowest priced gummies in town. Offseason deals: $20 eighths (dependent on strain); “Early Bud Special” gives 15 percent off any purchase on weekdays from 9 to 10 a.m.; ongoing specials from “Wax Wednesday” to “Social Saturday” offer discounts every day of the week. 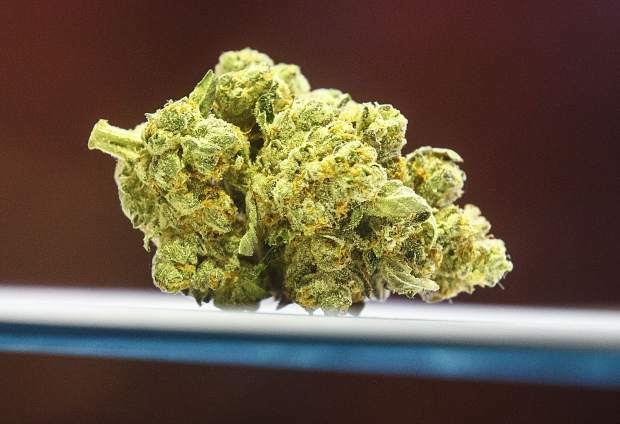 Loyalty program: 1 point for every dollar spent; 250 points earns $25 in store credit Hours: 9 a.m. to 10 p.m.
About: With a state-of-the-art grow facility at its Glenwood Springs-based headquarters, Green Dragon produces flower for its 12 locations across the state. A selection of Green Dragon-exclusive strains, which come in precise, plastic sealed to-go packs, which while sad for the planet, makes transactions faster than at other dispensaries. The long counter encases an extensive collection of edibles, concentrates and topicals with another wall stocked with accessories and branded swag. 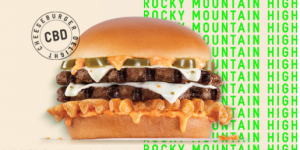 Loyalty program: 1 point for every dollar spent; 500 points earns $25 in store credit Hours: 9 a.m. to 11:45 p.m.
About: Serving the greater Roaring Fork Valley since 2009 from the original outpost in Glenwood Springs, The Green Joint has grown to four area locations. 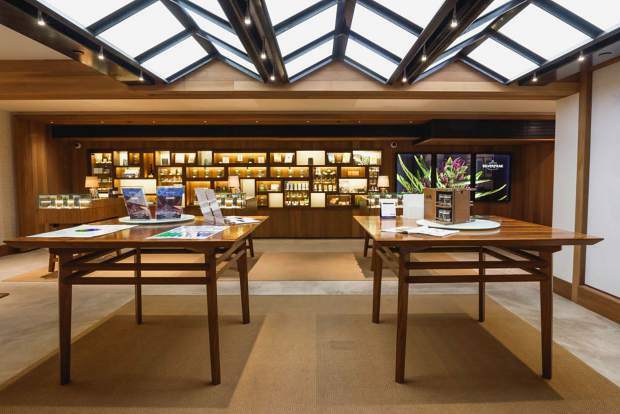 Its newest shop, which opened in September, is the closest to Aspen Mountain and stocks the best selection of products across all categories with a super knowledgeable staff of “Cannaguides” to explain it all. Order ahead through its “Green2Go” online program so your stash is ready for pickup before or after you hit the slopes. About: What began as a medical dispensary on the 16th Street Mall in 2013, Native Roots’ signature black and white pop-art graphics mark the spot at each and every one of its 20 shops in Colorado (and counting). 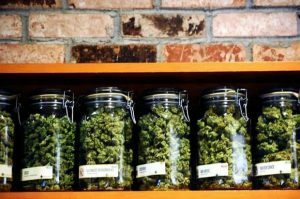 Now considered one of the largest chains of marijuana shops in the U.S., its crew of homegrown owners have blazed a trail for the entire industry. Modern, bright displays showcase signature strains and concentrates, plus the pioneers in the product space from Mary’s Medicinals and Lord Jones, to Sweet Mary Jane and marQaha. Picking up a pack of Native Roots Shortys (five mini joints) for party favors also is must. About: One of six locations along the I-70 corridor, RootsRx has a super friendly staff who are always helpful in recommending edibles, accessories and bud that’s “prescription strength, with no prescription needed.” It’s also known for competitive pricing, including the cheapest pre-rolls in town at $2 a pop and the only shop in town where you can find Willie’s Reserve (the legendary crooner and cannabis advocate’s own brand) and plant seeds to grow your own at home. Hours: 9 a.m. to 9:45 p.m.
About: Catering to Aspen’s luxury-loving reputation, Silverpeak offers the chicest shopping experience of them all, with every purchase presented on a silver platter. Clean lines, natural light, rich woods and custom cases make its organic cannabis (grown nearby in Basalt) look better than ever. You’ll also find the latest in vaporizer technology, glass, accessories, books and souvenirs in a separate boutique space.